Happy 3rd birthday to you, Althea Korea!! Every year, I will be writing about Althea Korea's birthdays in my blog. You may read my blog post for Althea Korea's birthdays - AltheaTurns1 and AltheaTurns2. What I love about Althea Korea are their limited edition boxes and K-beauty products which I can purchase in cheaper price than their outlets. On their 3rd birthday, they have these little birthday books boxes for you to play with. Isn't their boxes so pretty?? Get them all on your purchases! Wheee! I got the purple birthday book box from them as I purchase my daily skincare products are Laneige Fresh Calming Cleanser (2 bottles) and Laneige Fresh Calming Toner (2 bottles) which are included these 3 little mini birthday boxes and a discount coupon card for me to purchase more products. Happy 3rd birthday to you, Althea Korea! 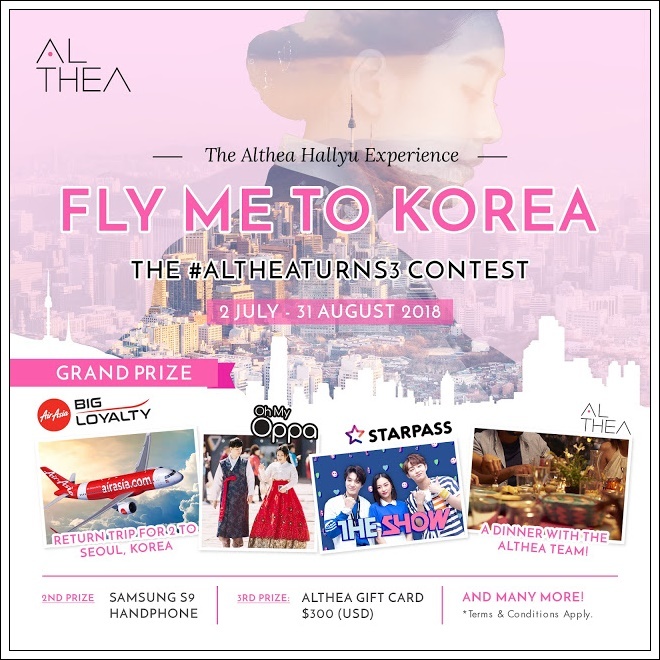 Every year, Althea Korea has prizes for you!! 1. 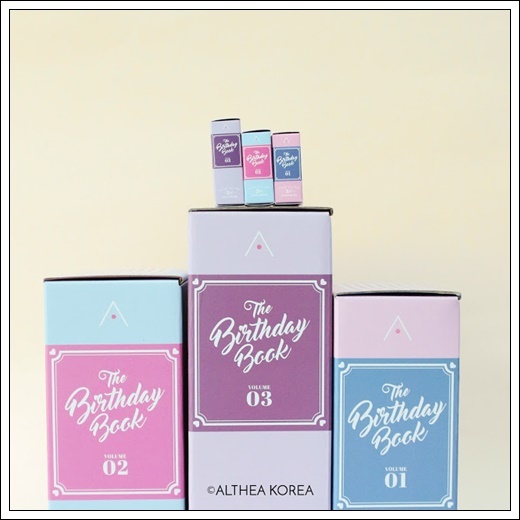 Make a purchase on Althea and be one of their lucky fans who receive the limited edition Birthday Book Box + Birthday Book Miniatures! 2. Fix up the miniatures boxes according to the instructions and take a creative photo featuring your finished Birthday Book Miniatures. 3. Upload the photo into your Instagram and on the your caption, tell them why you'd like them to fly you to Korea! 4. Remember to use these tags @AltheaKorea #AltheaTurns3 #AltheaKorea to enter.